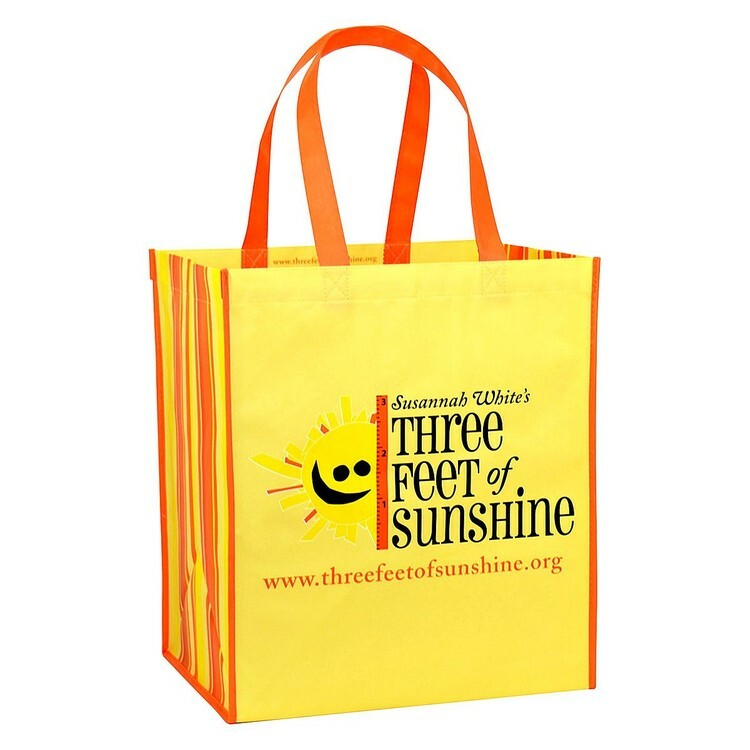 Custom 120g Laminated Non-Woven PP Tote Bag 13"x15"x10"
Have your message carry on long after your promotion is completed with this custom, full-color, laminated non-woven bag! Measuring 14" x 15" x 6" with 20" non-woven handles and non-woven piping, this bag is made 120g laminated non-woven polypropylene. Great for shopping, supermarkets, tradeshows and more. Full-color, full-bleed, eco-friendly printing and complete customization available. Overseas production with 20-50 working days lead time and MOQ of 2500 units.